Help support the Easton Food Pantry by bringing non-perishable food items to the parade start. Starts outside at the Council on Aging at 15 Barrows St in North Easton. For all ages in costume: All children, parents, adults and seniors are welcome to participate. Bring food to donate: Canned and boxed goods are needed for the Easton Food Pantry. Small Halloween Floats Welcome: Organizations in town are welcome to join us, including small decorated floats or carts. The Route: From 15 Barrows St, the parade travels to Day St, takes a right on to Sheridan St, then right on to Park St. 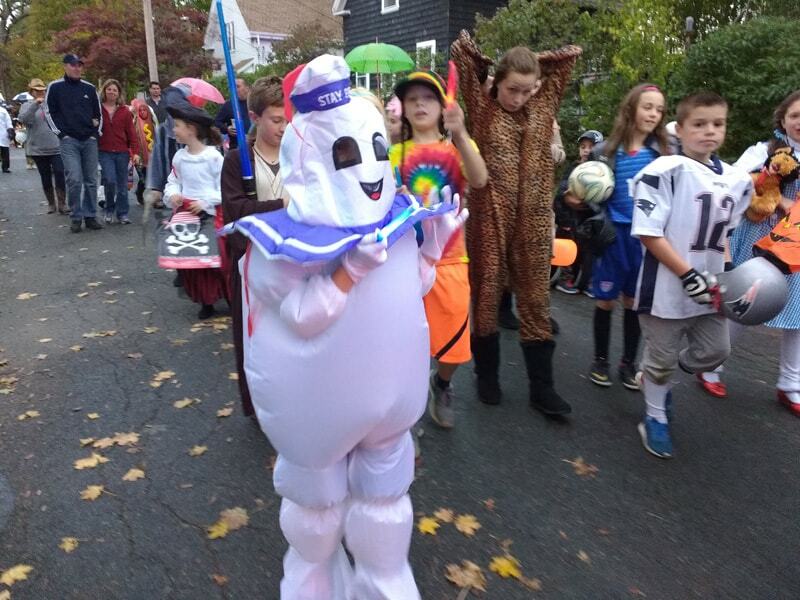 The parade then enters Frothingham Park through the Park St gate and travels across the park back to 15 Barrows St.
Watch the Parade: All residents along the parade route are urged to light the way with luminary lights or any decorations if possible to enhance the Halloween theme. Treats and candy will be given out at the end of the parade. For more information, contact Bill Palmer at 508-517-6668 or e-mail him at palmersoxfan@gmail.com. Please support our parade sponsors. 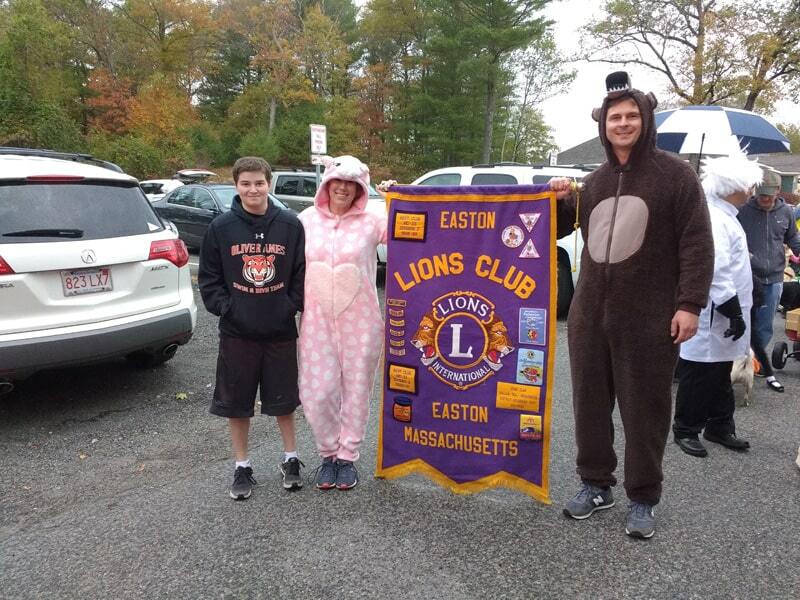 Check out the photos from the day at the Easton Lions Yardley Wood Rink Facebook page. 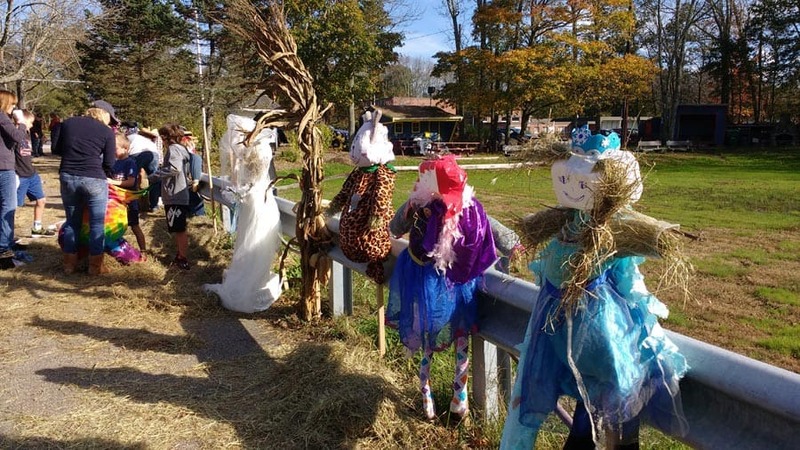 The Easton Lions Club Annual “Build-A-Scarecrow” event is held at the Yardley-Wood Rink at Center School (rain date Sunday the 29th) 388 Depot Street, South Easton MA. This event is Free. You bring the old clothes and hat – we have some to borrow – we will supply the Stakes and the Hay!! Ribbons will be awarded for scariest, funniest, most colorful & most unique scarecrow. The Easton Garden Club will be judging the event beginning at 3pm. For more information, contact Bill Palmer at 508-517-6668 or e-mail him at palmersoxfan@gmail.com.